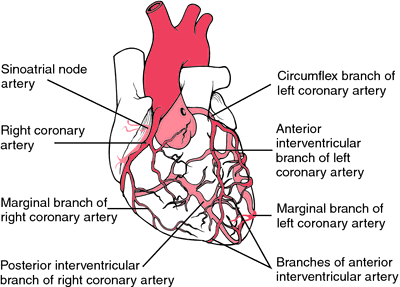 1 abbreviation for coronary artery disease. 2 abbreviation for computer-assisted design. A gene on chromosome 2p22-p21 that encodes a trifuctional enzyme linked to the activities of the first 3 enzymes—carbamoylphosphate synthetase, aspartate transcarbamoylase and dihydroorotase—in the 6-step pathway of pyrimidine biosynthesis. It is regulated by the mitogen-activated protein kinase (MAPK) cascade, indicating a link between MAPK cascade activation and synthesis of pyrimidine nucleotides. 1. Cold agglutinin disease, see there. 3. Coronary artery disease, see there. Specializes in medium- to large-size molds with emphasis on contoured surfaces cut from CAD solid models. This test, with results in 15 minutes, represents a step toward the kind of surefire lab testing that many view as the future of CAD and SCD-risk screening. The overlap between Adobe Acrobat 3D and what the CAD vendors are offering has nuances. syngo Lung CAD adds significant new capabilities to the syngo LungCARE CT application by increasing the medical professional's ability to catch more pulmonary nodules during the review of CT studies with hundreds of images," said Louise McKenna Ph. The lead time for producing a tool including a CAD model varies from tool to tool, but it is often in the order of 10 to 12 weeks. Other CAD software providers that also offer e-collaboration products include Dassault Systemes' Enovia subsidiary, Cimatron, CoCreate, and PTC. Support for New CAD Package Releases - Support has been added in ProductCenter for the newest releases of Autodesk Inventor 11, AutoCAD 2007, and Pro/ENGINEER Wildfire 3. Partin has been a trusted associate at Mid-West CAD since 1990. Software for CAD, design and math data transfer and manipulation. TransMagic's multi-format CAD data exchange software products are compatible with every CAD system. PRO/E CAD system for close-tolerance intricate molds such as shuffle and rotary table insert molds, hot-runner and unscrewing molds. It's our mission to offer the area's design professionals great CAD learning experiences, and this will certainly be one of them.